Like the rest of the Hotel Le Clos Saint-Martin, the rooms are an elegant mix of ancient and classical style with modern architecture and equipment. 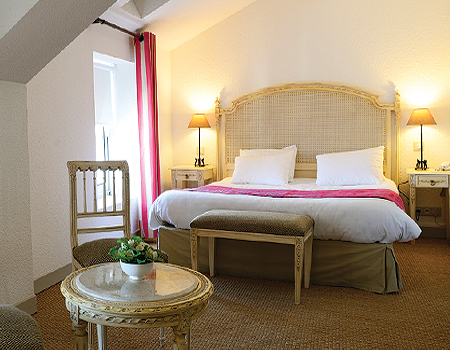 All our 41 rooms have the warmth and conviviality of the country houses of the Loire region, with the latest equipment. 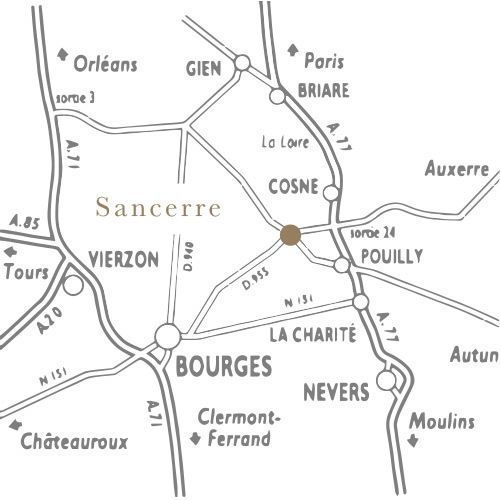 You will find calm and reposal there, in the peaceful environment of the Loire Valley. 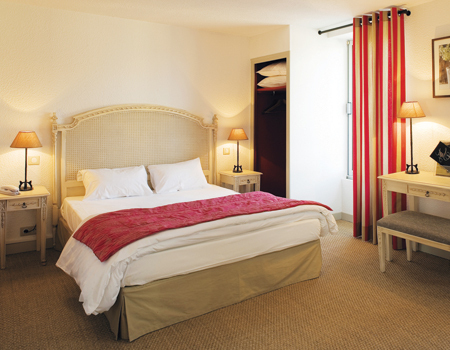 The Junior Suite is ideal for a long stay or a romantic night. Spacious and luminous, it will let you have all the space you need to feel at ease. These rooms can welcome up to persons. The Standard room is a comfortable room, with one big bed for two people. It is decorated in a warm way, with a little wooden table, rug and blanket. It has a big dressing. This room in Sancerre can welcome 1 or 2 people. The Familial Room comprises two connecting rooms, one with a double bed, the other with two single beds. Ideal for large families, this spacious room can accommodate 2 to 4 people. Ideal to stop just for one night, the Budget Rooms are located in the patio of the hotel. They do not have windows but enjoy all the natural light from the patio through large French windows. Smaller, they nevertheless are very comfortable, with bathroom, Tv Flat Screen and air condition. They can welcome 1 or 2 people. The check in is from 2 p.m. The check-out is up to 11.30 a.m.
You can have brekfast in your room, for 1,50€ /pers. All rooms have TV with Satellite. 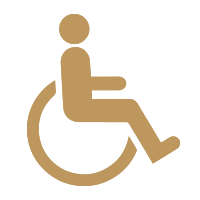 The hotel is equiped to welcome persons of reduced mobility. By submitting this form, I accept that this information will be used to contact me.